It's been quite a while since my last post. 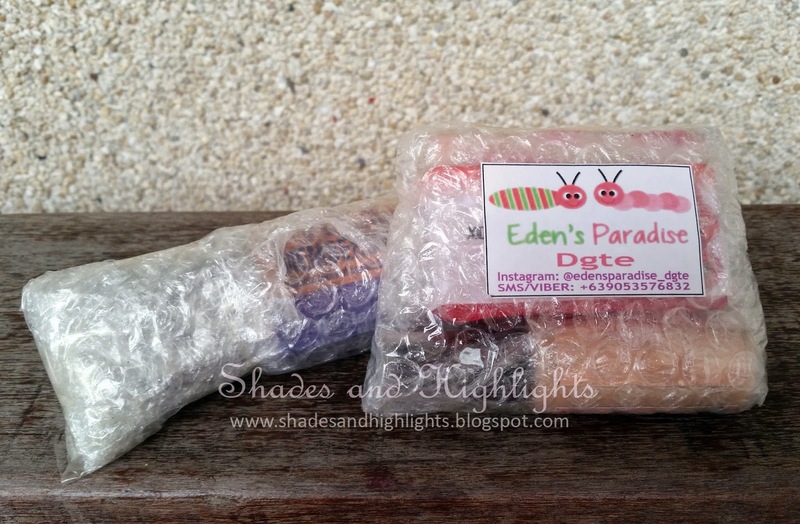 Anyways, recently I got some great stuff from Eden's Paradise Dumaguete and I wanted to share with you guys my reviews on each of their skin care best sellers. Eden's Paradise is an online shop selling all organic skin care essentials such as soap, creams, oils, lip stains, powders, blushers, etc. 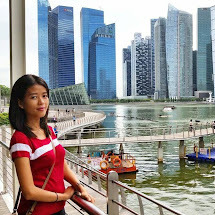 They have a lot of resellers nationwide and even worldwide. 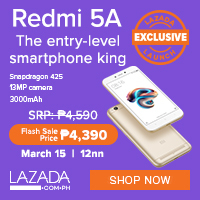 I got mine from a reseller in Dumaguete City. 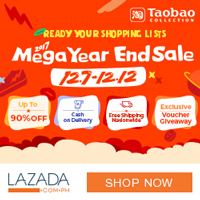 The shipping was fast and I received the items carefully and securely bubble wrapped and there were no spills or dents whatsoever. The quality of the packaging left a very good first impression. Now let's proceed to the review shall we? 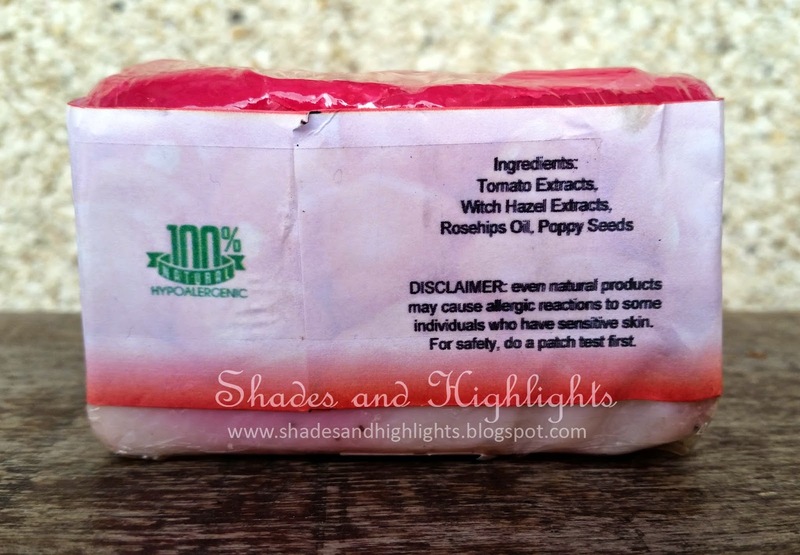 Let's start off with the Tomato Pore Detox Soap. This soap smells amazing!!! I am not exagerrating or anything but it has this super duper great citrusy smell. I cut the soap into three to make it last for more days or even weeks. I love how my skin feels during and after using this soap. 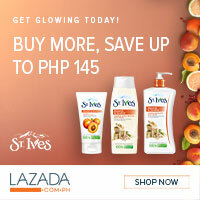 It lathers on smoothly and my skin feels squeaky clean with drying out. What I love most about the Tomato Pore Detox Soap is not only it is organic but it is also best for sensitive skin like mine (once tried using another brand of organic soap but then it irritated my skin especially the areas around my lips and eyes). 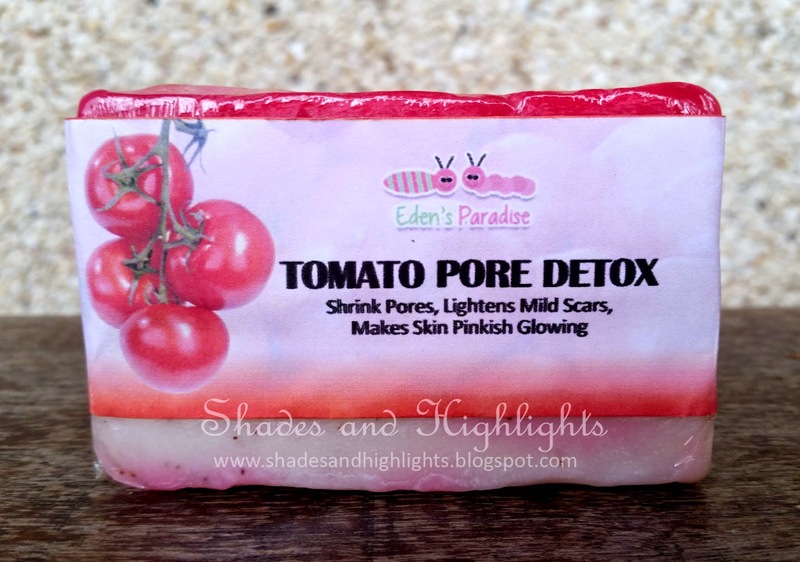 Tomato Pore Detox Soap claims to shrink pores, lighten mild scars, and makes skin pinkish glowing. 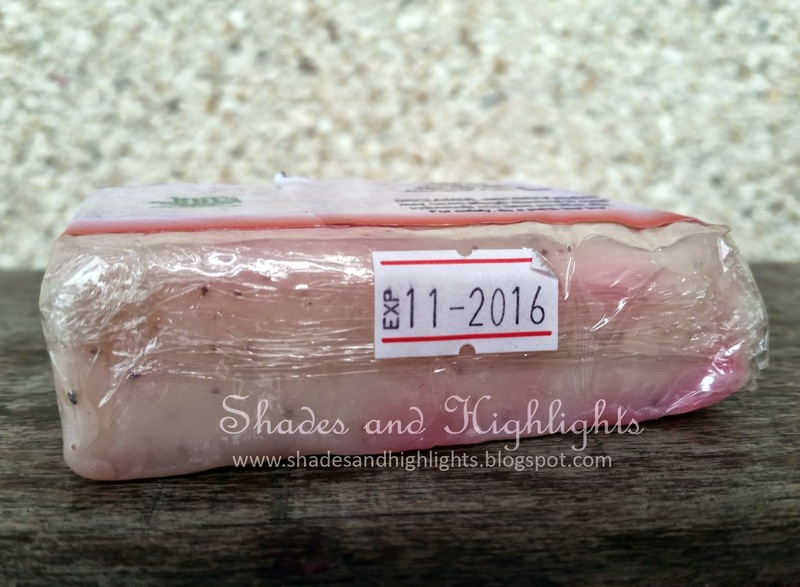 Expiration date is indicated in every bar of soap. The next product that I am impressed with is their Sweet Melon Cream. 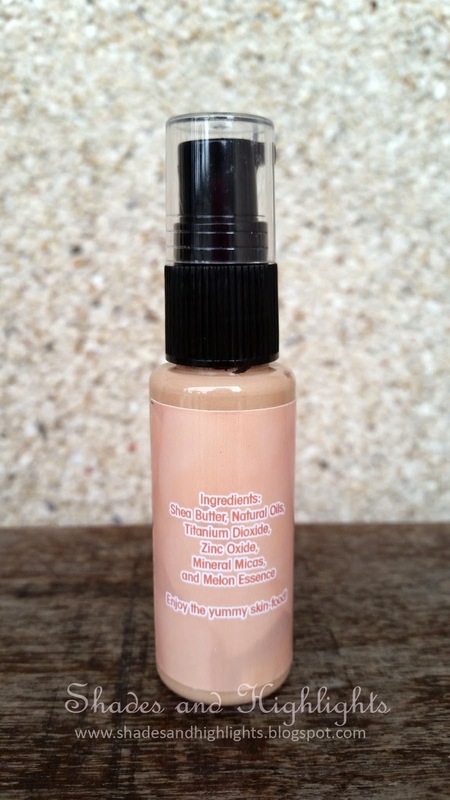 It is a foundation, sunblock, and moisturizer in one. Indicated on the product label itself, it certainly has a sweet melon scent that you might just wanna eat lol. It kinda reminds me of melon flavored ice cream or icing. They have different shades to choose from (fair to darker skin tone) so I am sure that they have the perfect shade for you too. It comes in a 30 ml plastic pump bottle. I got the shade for medium and light skin. Below, you can see the big difference. I applied only a thin layer of the cream and spread it on the right side of my hand for comparison. Notice that on the area with cream, my skin looks more glowing and the veins are not that prominent compared to the left side. 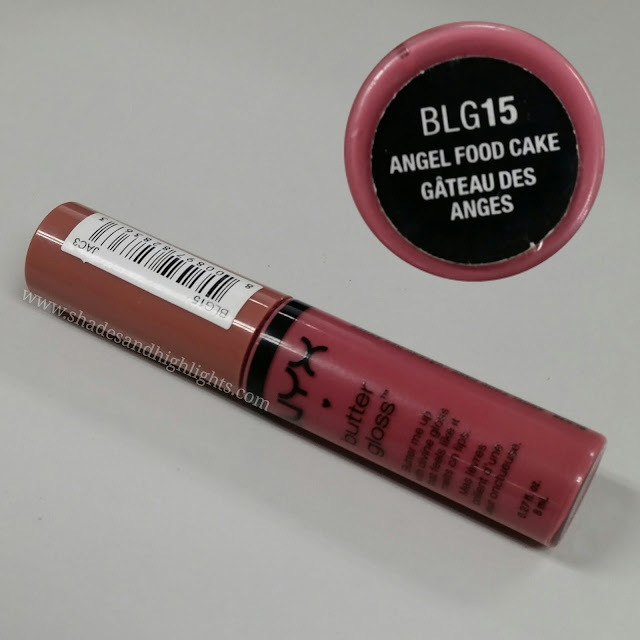 Tips and Tricks: Apply and spread the cream immediately to prevent it from drying and getting cakey. If that happens, I found out an effective solution for it. Just make your hands a little bit damp by dipping you fingers in water, rub your palms together, and then gently patting your face to even out the cream. Another trick that might work is that if you have a water spritzer or spray, just spray a little water 10 inches away from your face and gently pat and even out the cream. If you want to apply a second layer for more coverage, you may do so. Remember to blend, blend, and blend for that natural, flawless, and glowing skin. 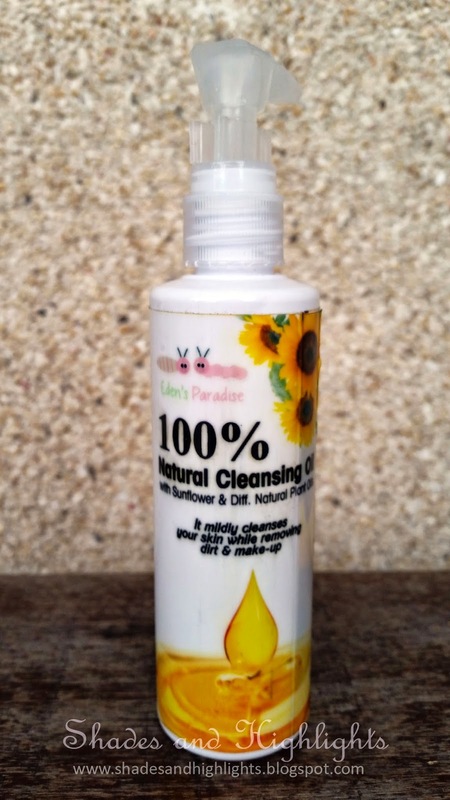 Another product that exceeded my expectations was their Natural Cleansing Oil. 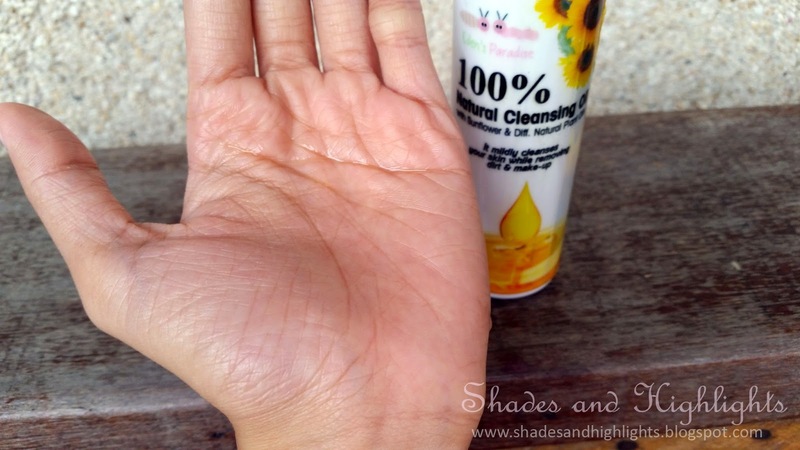 I've tried other cleansing oils before but this one impressed me the most. My skin type is uh- let's just say, a bit complicated I guess. 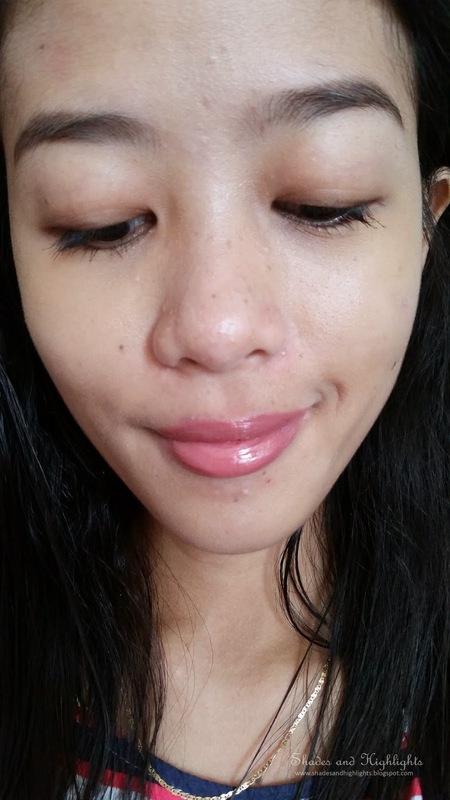 Sometimes it gets too dry and other times it gets too oily that is why I am very picky when it comes to finding the right skin care products. To be honest, I am a bit skeptical to try this but then I did eventually and I never regret it. 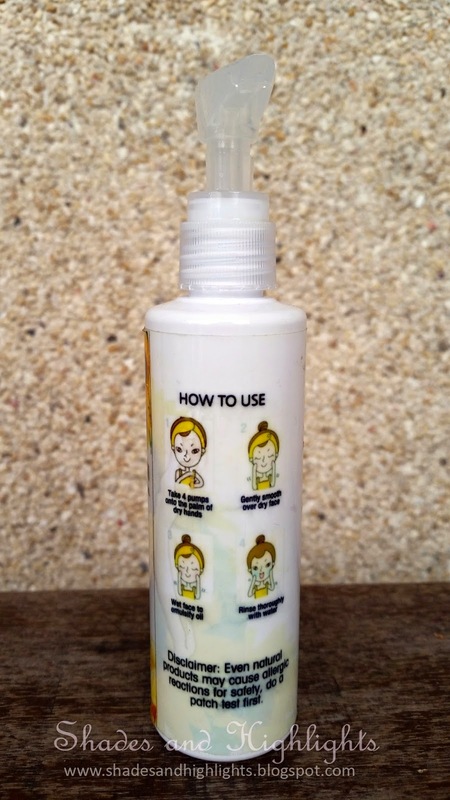 Directions on how to use is indicated at the back of the bottle. So basically, I start my day by using the Cleansing Oil. I used 2-3 pumps and gently spread it all over my dry face then emulsify the oil by applying water and kind of massaging my face. The water acts as emulsifying agent that helps get rid of those impurities on the skin especially when wearing makeup. Then, I rinse it off and proceed by using the Tomato Detox Soap. This method is what is usually called "double cleansing" or "thorough cleansing". I lather the soap all over my face concentrating on the areas where pores tend to get clogged up like the areas around the nose, chin, and lips and rinse it afterwards. When drying my face, I do it in a patting motion so as not to irritate the skin. 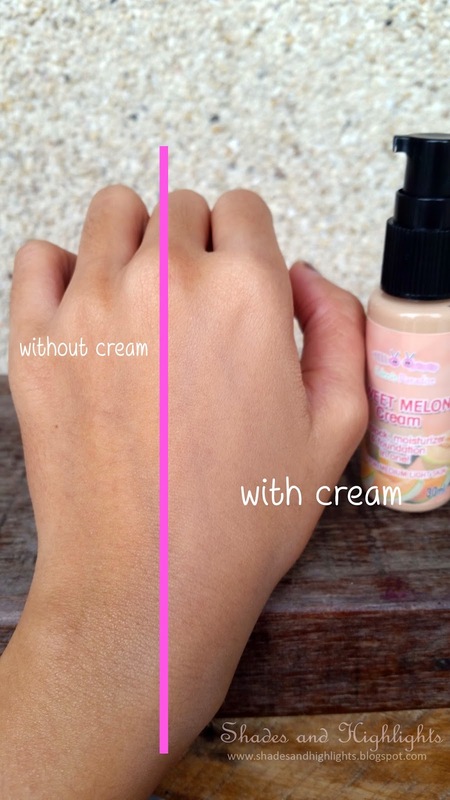 Lastly, I apply the Sweet Melon Cream for a natural look. Also, I do thorough cleansing just before bedtime. Where to Purchase Eden's Paradise Products? Now, that is all for my collective review of some of Eden's Paradise skin care products. 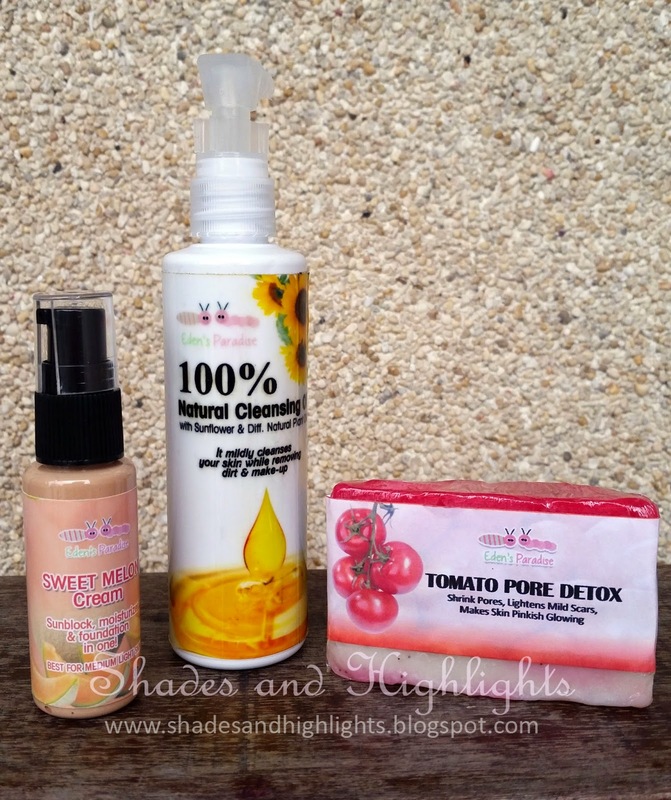 My overall verdict is that I love all the 3 products especially the Tomato Pore Detox Soap. Let me know in the comments if you guys have tried any Eden's Paradise product or if not, please let me know on other organic skin care products that you been using and loving. That cleansing oil looks good!!! That's going in my shopping list! This straightforward equation takes out a large portion of the unsafe symptoms that fixings like mineral oils, parabens, scents,Diane Keaton Anti Aging Products and different substances regularly cause. The treatment utilizes a particular wire brush to peel the best layer of the skin. As the best layer of the skin is expelled, mending process begins immediately and inside a couple of days,view it now more beneficial skin replaces the evacuated one.